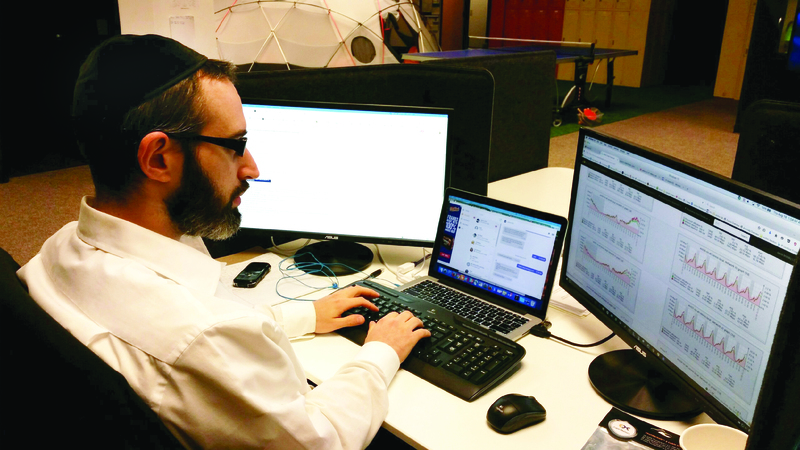 “To be honest it was probably the hardest year of my life,” says Rabbi Dovid Brotsky, as he reflects back on the winter of 2014. 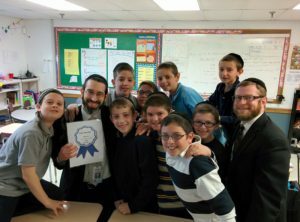 He had just moved his five children and his wife to Cincinnati, so that he could take a teaching job at Cincinnati Hebrew Day School. After sixteen years of Jewish study, he couldn’t have been more excited. “At first I figured it was growing pains, but at a certain point I realized teaching kids wasn’t the right fit for me. I loved teaching adults, but teaching children is a totally different world,” he says. At the same time, his wife, who is an occupational therapist, was realizing she wasn’t happy at her newfound job in Cincinnati. Without time on their side, the couple knew they needed help identifying and taking their next professional steps. 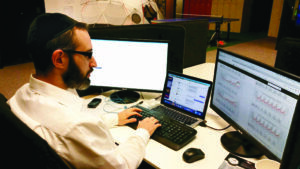 A short Google search turned up Cincinnati’s JVS Career Services, and within minutes, Rabbi Brotsky’s wife was on the phone with the agency’s managing director, Kim Slaton. “My wife explained our situations, and Kim said, ‘Why don’t you both come in and we’ll have a joint meeting,’” says Rabbi Brotsky. When the three got together, Rabbi Brotsky says it was immediately clear that he and his wife had come to the right place. But all of the good intentions in the world weren’t going to automatically fix Rabbi Brotsky’s career dilemma. After almost two decades in Jewish study, what would be next? Because the fact of the matter was that, while his strengths made him a good fit for IT, Rabbi Brotsky knew very little about computers. “I was starting pretty much from zero,” Rabbi Brotsky admits. In seconds, Kim had a solution. She suggested an IT “boot camp” at Per Scholas, a nonprofit that provides free IT training in downtown Cincinnati. Eight days later, Rabbi Brotsky was sitting in class. And just eight weeks later, he was giving the valedictorian speech at the program’s graduation. 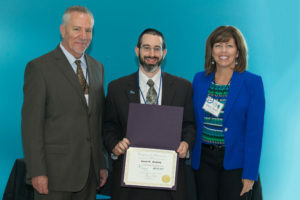 He was proud to tell JVS Career Services’s CEO, Joni Burton, about his achievement. Rabbi Brotsky’s winning streak continued. Only a few weeks after graduation, he was offered a job working in the call center for Pomeroy, an IT services company based in Northern Kentucky. His first call was to Joni. “She was there again to help me weigh my options and make a good decision,” remembers Rabbi Brotsky. After he got settled into his new position, the two continued to keep in touch. “Joni would often email me, just to see how things were going,” he says. And even though he wasn’t looking for another job, he found himself calling Joni again, ten months later, before a big interview for an even better position with a software development startup called Krush Technology. “We had a good half-hour conversation. She helped me see all of the benefits that would come with working for a startup, and she also helped me get ready for my interview,” Rabbi Brotsky says. Joni’s interview insights worked again, and Brotsky has been happily working for Krush ever since. He takes a deep breath, relieved that the hardest year of his life now feels far away in his rear view; relieved that he found JVS Career Services in the nick of time.